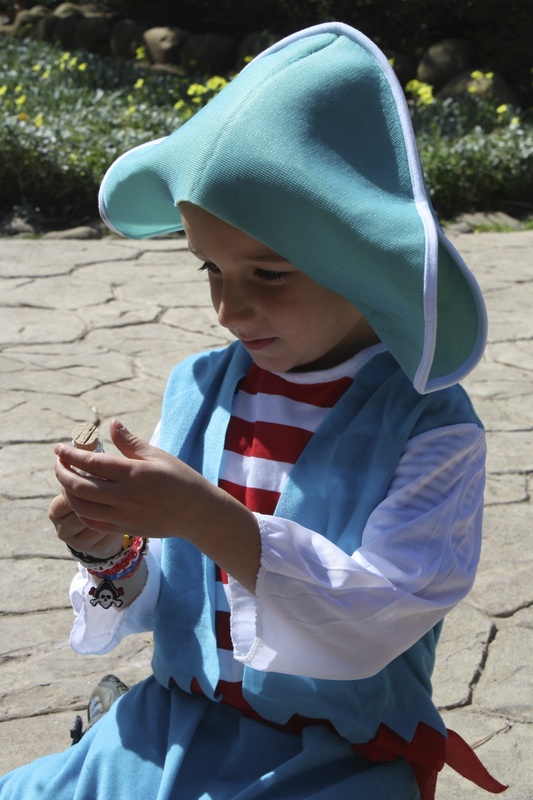 It started with a treasure hunt, through dinosaur den, bamboo forest and pirate hideout; before quickly rolling into pin the tail on the tic-toc croc and find the gold doubloons in the sand. 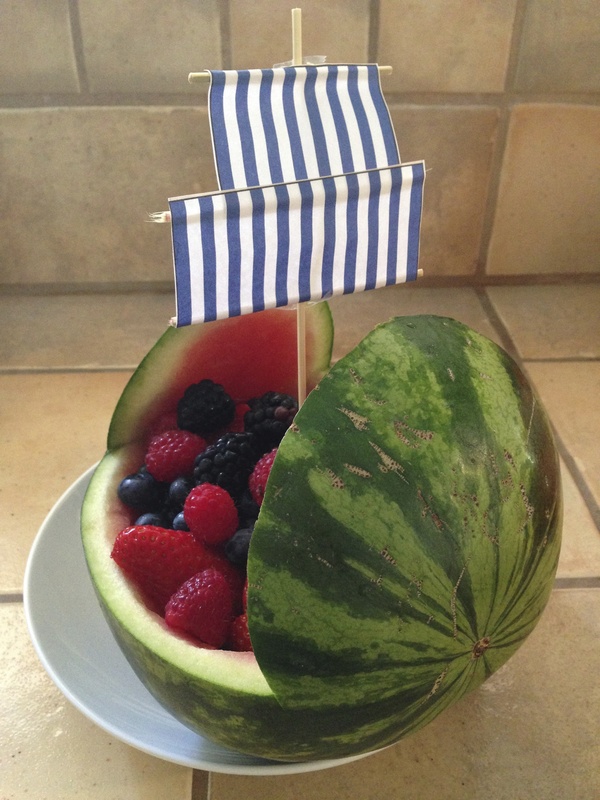 There was blue jelly with orange boats sailing the high seas, a water melon doubling up as ship and a chocolate cake pirate hat, inspired by the Disney ‘Jake and the Neverland Pirate Party‘. 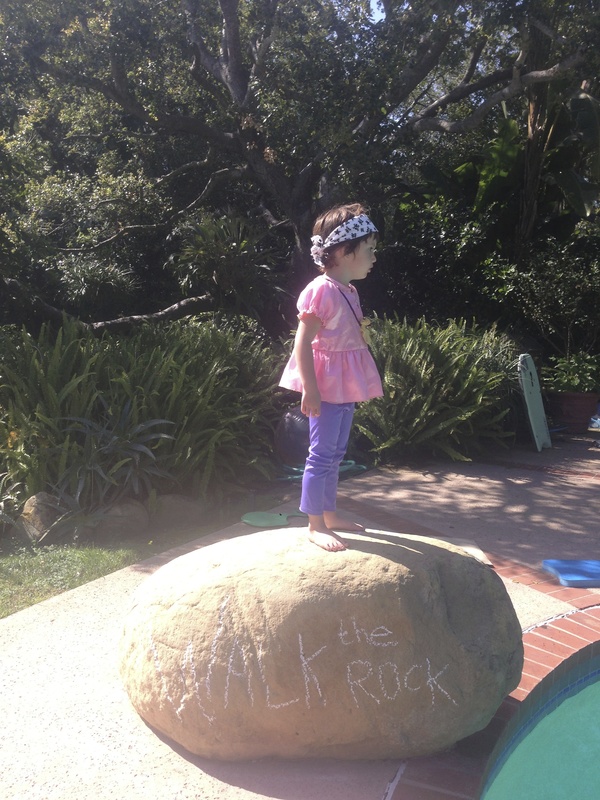 The afternoon was full of pirate dancing and walking the rock (since we did’t have a plank). There was barely a dry pirate in sight. 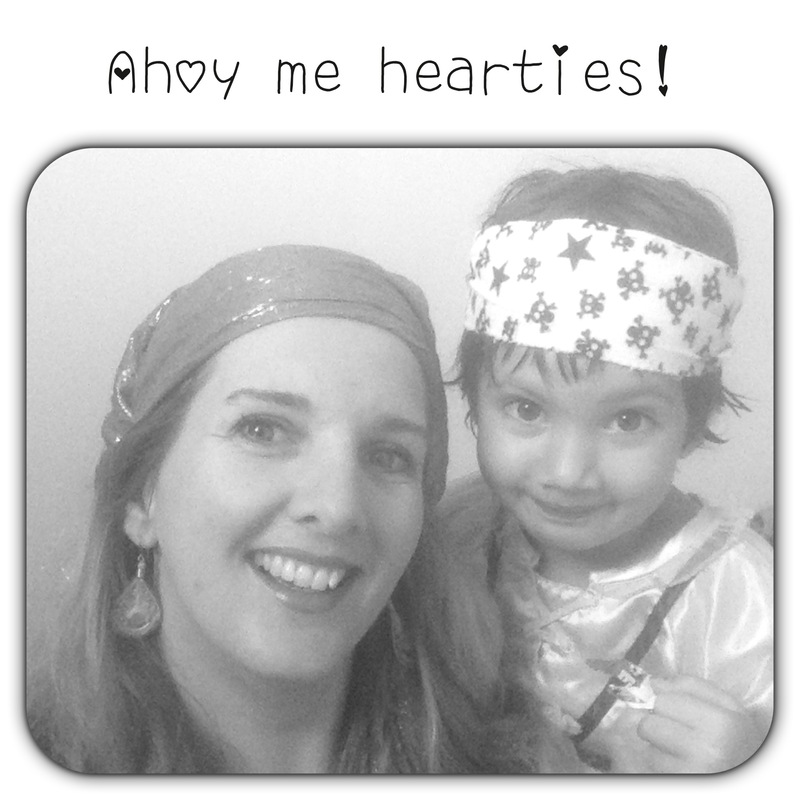 Miss 4, our ‘Pirate Princess’ was delighted that her dashing pirate companion, Ollie, was there to ride the high seas with her; whilst the older pirates checked on the rum supplies and tried to keep the inflatables afloat in a storm of giggling, wriggling, little pirate limbs. 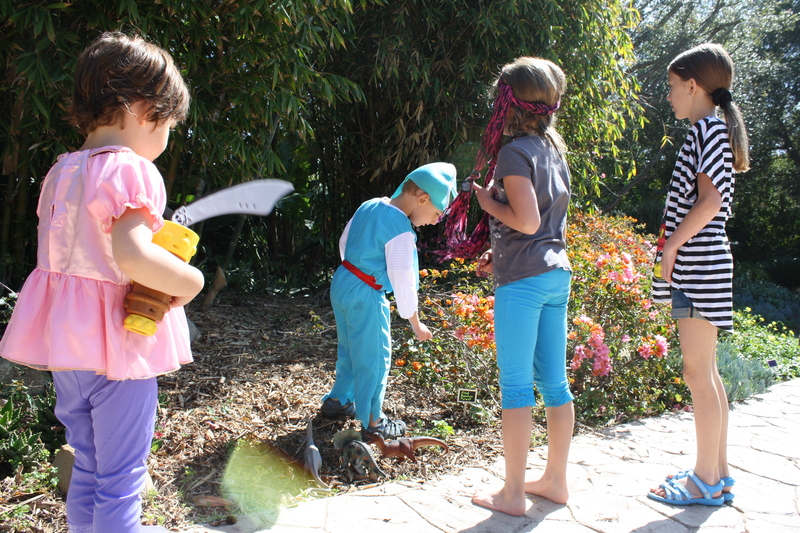 Miss 8 and 10 led the younger pirates in their treasure hunting and game play, whilst practicing their knot tying skills on any unruly little scallywags (not that anyone was really a scallywag – a pirates were on top form – we were just glad the life-sized cardboard one on the front door didn’t come to life!). A pirate lunch should happen more often on a Sunday afternoon me thinks. Aye, it was pure gold me hearties! 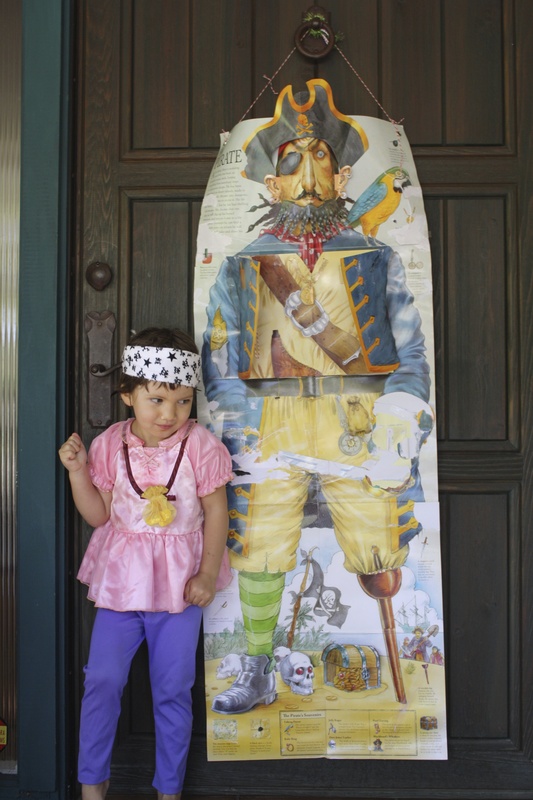 Alice, Special Days, Things I'm Loving 4th, Alice milestones, Birthday, birthday party, featured, friends, Neverland Pirate Party, party, pirate. permalink.